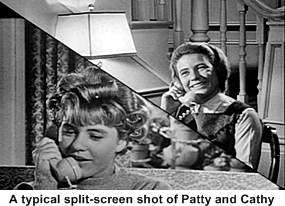 The girls are identical except for their hairdo, Patty’s hair flipped out while Cathy’s was turned under and more conservative. 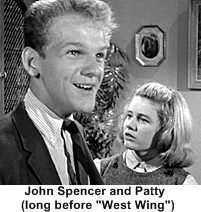 This likeness led to the girls pulling off all sorts of shenanigans by switching identities (much like the Parent Trap which was two years earlier). Their hijinks usually landed them in hot water and were the basis for the shows comedic appeal. 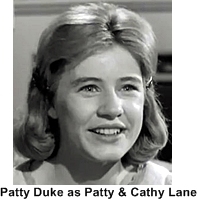 This was Patty Duke’s show all the way. 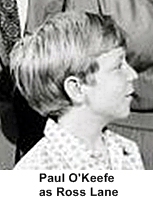 The filming was located in New York because Hollywood’s tough child labor laws wouldn’t have given Duke enough workable hours each week to pull off the dual starring roles. The special effects required to shoot Duke in the dual roles on the same screen was new for the times and way above the average technical requirements for a tv sitcom. One of the tricks was having the twins talking face to face so that the screen shot would contain one shot of the front of the twin and one of the back. A body double (Rita McLaughlin) was used for the back shots. 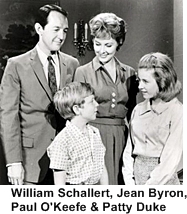 The show was deemed to elaborate and expensive to convert to color in 1966 so it was canceled by the network even though it’s ratings were higher than ever. 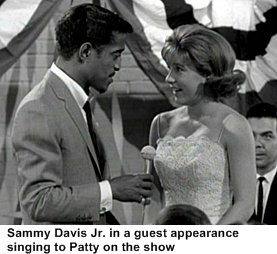 Quite a few singing sensations appeared on the Patty Duke Show including Frankie Avalon, Bobby Vinton, Frank Sinatra, Jr., Robert Goulet, Jimmy Dean, Sammy Davis Jr. and Chad & Jeremy. 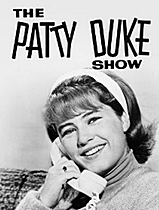 It was Duke’s singing with Chad & Jeremy that launched her own singing career cultimating in the top ten single – “Don’t Just Stand There”, in 1965.